The redcurrants are small rounded fruits of red colour. They may be eaten raw, although their bittersweet taste makes them more suitable for processing jam, milkshakes, ice creams, etc. They are rich in vitamins and minerals. 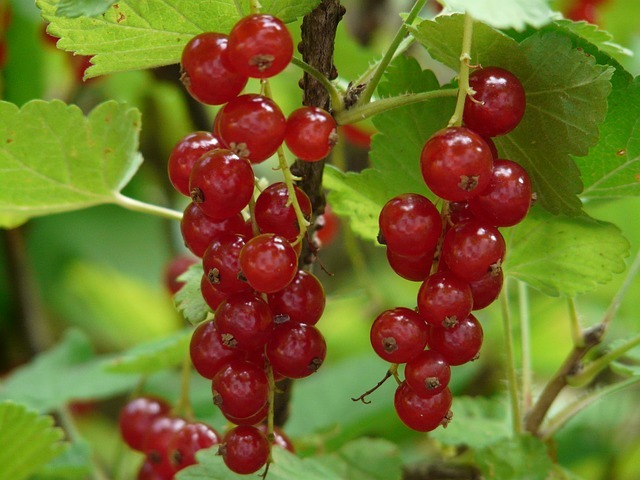 The redcurrants are diuretic fruits, chiefly recommended for hypertension. They prevent colds and gastrointestinal diseases as well. The redcurrant is the fruit of a shrub. It is a rounded berry of translucent red coloured-skin and bittersweet taste. Apart from the red currant, there exist other species like the black currant, the white currant and the gooseberry, that are differentiated for the type of fruit they bear. The red currants can be eaten fresh, although they are generally intended for processing, for instance, jellies, jams, custard, milkshakes, cakes, ice creams, juices, broth, liquors and soft drinks. Currants are healthy food with few calories and rich in fibre, vitamins and minerals. They have diuretic properties and are suitable to treat influenza and other catarrhous diseases. The red currants plants belong to the family of the Saxifragaceous and the species Ribes rubrum. They are cultivated for their fruits, small round berries of variable red colour. 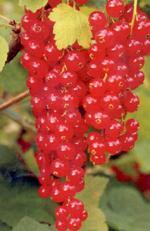 The red currant is a shrub of brambly appearance, with very grafted thin stems. The skin is grey and even. The leaves are deciduous. They measure between 5 and 7cm and are composed of 3-5 folioles with irregularly sawed edges. The flowers are of reddish-green colour and are grouped in hanging clusters. The fruit is a small, rounded berry of red transparent colour. Each cluster bears between 10 and 12 berries.